Hundreds of thousands of Canadians have been affected by marijuana prohibition laws, but the Trudeau government has been slow to coordinate Amnesty legislation with the legalization of Cannabis. 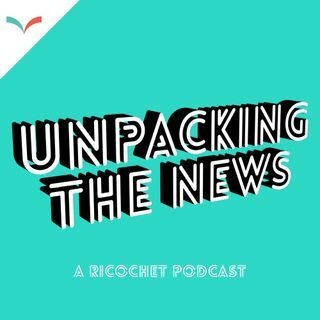 On episode 70 of 'Unpacking the News', investigative journalist Tracy Giesz-Ramsay joins host Andre Goulet to discuss Day Zero of Legalization. Plus: society pathologizes addiction without understanding why it happens, but there's a growing consensus, particularly in the medical ... See More community, that addiction is not a moral failing or weakness of will. In this conversation, Ramsay-Giesz and Goulet explore how conditioning, childhood trauma and social and economic exclusion can lead to addiction. This conversation was recorded on October 16th, 2018.